Summer is here!! That means long days at the beach or pool and warm nights chasing lightning bugs. For us moms it means trying to figure out light summery lunches we can convince our kids to grab as they whiz by. I have this great round up of 30 Summer Lunches For Kids that are perfect for summer time eating. These recipes are either summer themed, no bake, easy or just downright delicious. I know that each mom has a different amount of time they have to prepare lunch so I tried to include a variety of lunches for every kid and every mom. Hope you enjoy this round up and try some new lunches for your little ones! « Summer Beach Bash at Bahama Breeze! 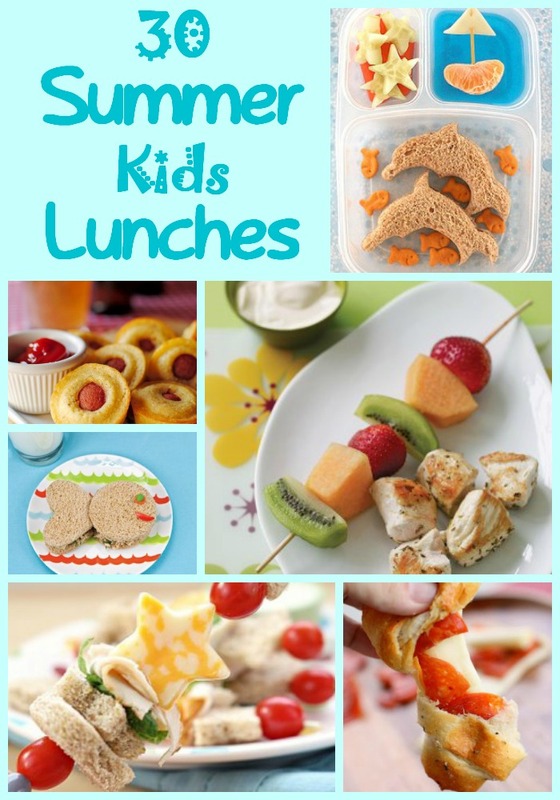 So many awesome ideas for fun summer lunches! That ham and cheddar in a loaf looks yummy! I might have to have a go at that this weekend. You’ve rounded up some great recipes here – I’m always on the lookout for healthy kid friendly recipes. This is genius! Can’t wait to go thru the list! Thanks for sharing on Sunday FUNday! Featuring you at this weekend’s party! Hi Parrish – These are great-looking lunches! Thanks so much for sharing with the Let’s Get Real party. I I can’t wait to try these with my boys. I look forward to letting you know which ones were favorites in my house. Thanks for the great food ideas! Thanks so much!!! Have a great summer! !